The Temple of Horus in Edfu, Egypt is a historical and architectural wonder. The second largest surviving ancient Egyptian temple after Karnak, the 2,200-year-old landmark is also one of the best preserved. Located midway between popular stops Luxor and Aswan, Edfu was not always present on Nile travel itineraries, despite being one of the most impressive late period Ancient Egyptian temples. 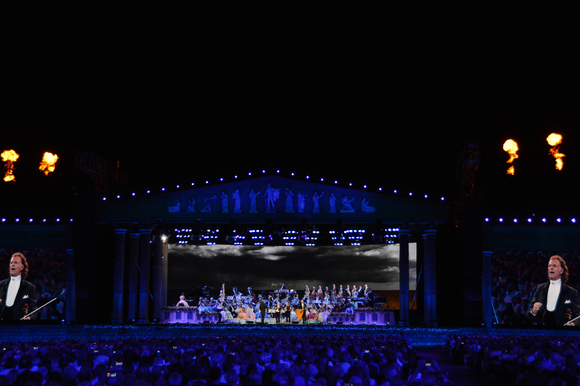 Germany-based company Casa Magica was commissioned to design and develop a tourist-attracting sound and light show and incorporated atmosphere producing lighting effects from Martin Exterior 200 LED™, Cyclo Directional™ and Extube™ color changing luminaires. 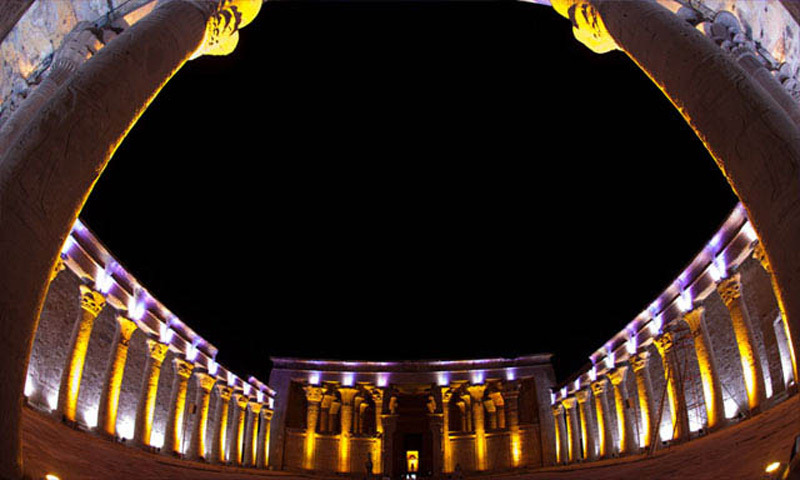 Now, visitors to the site are greeted by a stimulating sound and light show, a new way to experience the monument that brings the world of ancient Egypt to life. Once the sun has set over the Egyptian desert, the sound and light show invites visitors to experience the sanctuary, the myths and religious festivals of the falcon-like god Horus in a multimedia staging. Lighting and imagery, which is synchronized with audio, is performed two or three times each evening in English, Arabic, French, German, Spanish and Italian. The show plays on three different stages in the temple area, at the long enclosure wall, in the main colonnade court and in front of the great pylon. All Martin lighting fixtures were supplied by Martin Professional Middle East. Lighting design is by Bernhard Hoefert with dynamic lighting programming by Matthias Strobel. Casa Magica was contracted by Egyptian partner Horizon (El Ofok) and commissioned by MISR Company for Sound, Light, and Cinema. Show composer is Stephan Boehme with stage direction by Siegfried Buehr, assisted by Oliver Moumouris. 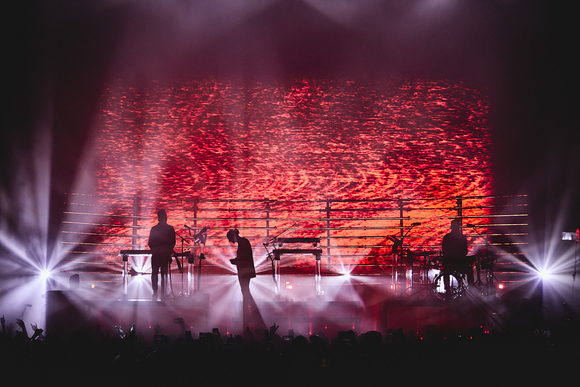 The technical installation and programming of light, video and sound was largely completed by company Horizon and their consultants Toon Thellier and Manfred Weigl.